With the launch of the precision medicine cohort initiative, All of UsSM Research Program, the importance of incorporating implementation science in genomic medicine is greater than ever to ensure population health benefits for all. Historically, the speed of genomic discovery has far exceeded the time required to put these potentially life-saving medical discoveries into practice. In December 2016, the Annual Conference on the Science of Dissemination and Implementation held a session on implementation science in genomic medicine. This session and our recently published systematic review demonstrated a need for more implementation science research in genomic medicine to realize the promise of precision medicine for all. In the systematic review, we studied the extent that implementation science approaches are being applied to medical genomics research by examining all translational genomics research articles identified through the CDC’s Public Health Genomics Knowledge Base in 2014. Of the 626 translational genomics studies, 283 included components of implementation research, and from those, we identified four major gaps in the current genomic medicine literature. There is a need to incorporate rigorous implementation science methods that are grounded in theory into genomic medicine research. Less than 2% of identified articles incorporated implementation science frameworks or theories. Perhaps as a result, studies often neglected the measurement of contextual factors that drive implementation. The unit of analysis in >98% of published studies were the individual, rather than the provider or health system. Incorporating multilevel contextual factors will be essential in understanding how to effectively implement genomic medicine into clinical and community health settings. 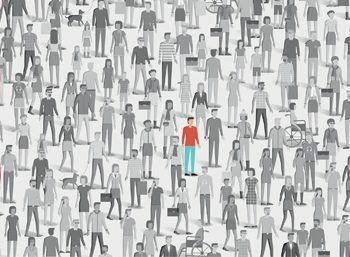 Implementation research in genomic medicine must move into more diverse settings and populations in order to improve population health and reduce health inequities. The majority of published studies occurred within an academic medical center setting. Fewer than half of the included studies reported race/ethnicity data, challenging our ability to assess racial/ethnic disparities and the generalizability of study findings across subpopulations. In addition, the majority of studies were in oncology, likely reflecting the current evidence base in the field. However, as evidence accrues, research in other disease areas will be needed. Most studies were observational, many reporting barriers and facilitators for genomic medicine implementation. The time is ripe to move beyond observational study designs and to begin testing evidence-based implementation strategies to optimize genomic medicine. Few studies reported the use of collaborative processes (e.g., key stakeholders) and sustainability indicators (e.g., monetary and non-monetary costs, workforce needs, infrastructure). 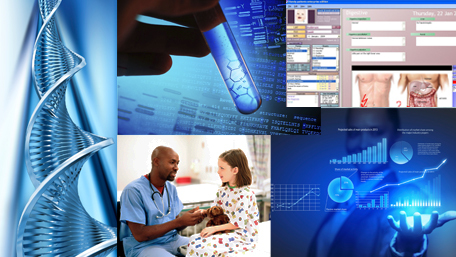 By incorporating more collaborative processes, we can aid successful implementation of genomic medicine. Accounting for these four areas, we need to conduct more robust research that facilitates the implementation in genomic medicine to improve population health. With the momentum behind the PMI, now is the time to build an implementation science foundation to reap the benefits of genomics and precision medicine.